THE B-MOVIE NEWS VAULT: STOCK YOUR VAULT: New DVDs & Blu-rays for 02/27/2018! STOCK YOUR VAULT: New DVDs & Blu-rays for 02/27/2018! It's time to say good-bye to February 2018 Vault Dwellers! This month had a surprisingly strong showing from all of our favorite genre labels, and this final week is no exception! 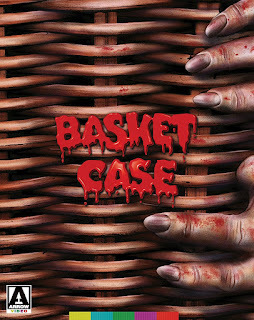 Arrow Video debuts their Limited Edition Blu-ray of BASKET CASE (forcing me to upgrade yet again! ), as well as their Special Edition Blu of SCALPEL! Not to be outdone, Scream Factory fires back with the long out of print GATE II, COLOSSUS: THE FORBIN PROJECT, and an IFC documentary called 78/52: HITCHCOCK'S SHOWER SCENE! Also out today: Scorpion Releasing's new DVD & Blu-ray discs of THE SECT and SERPENT'S LAIR, Warner Archive Collection's LON CHANEY COLLECTION, and MVD Rewind Collection's awesome 2-Disc Special Edition of BLACK EAGLE, featuring Jean-Claude Van Damme in of his earliest roles! 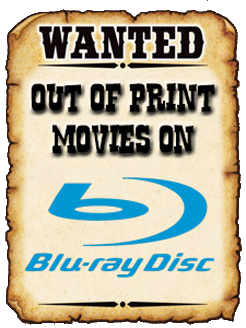 There are some other titles of interest, so be sure to scroll down to see the full list of this week's new DVDs and Blu-ray discs! Contains: Ace of Hearts, Laugh Clown Laugh, The Unknown, and a photo-reconstruction of London After Midnight.